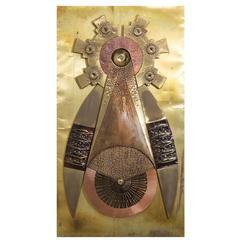 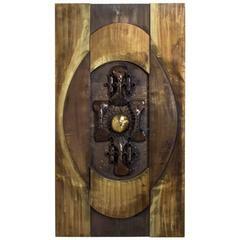 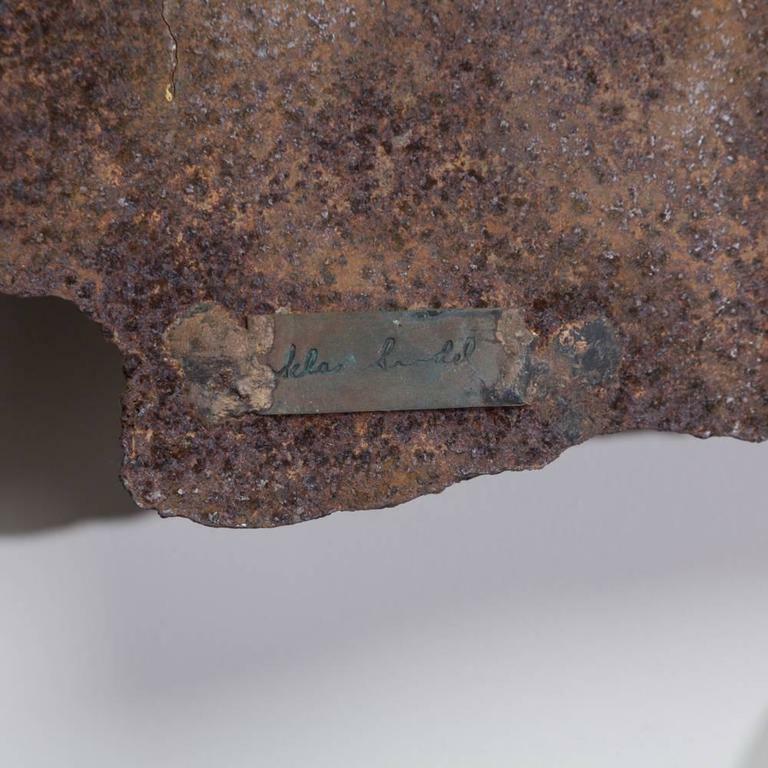 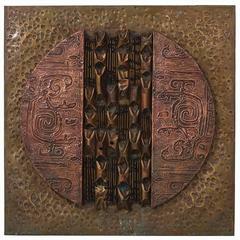 A Brutalist metal panel wall sculpture by Silas Seandel with signed placque to rear of panel. 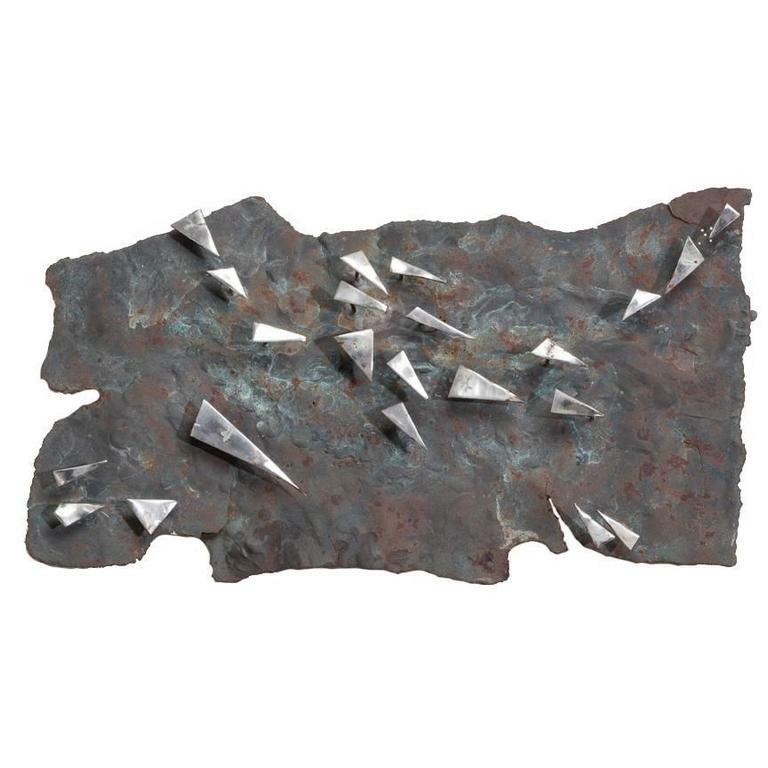 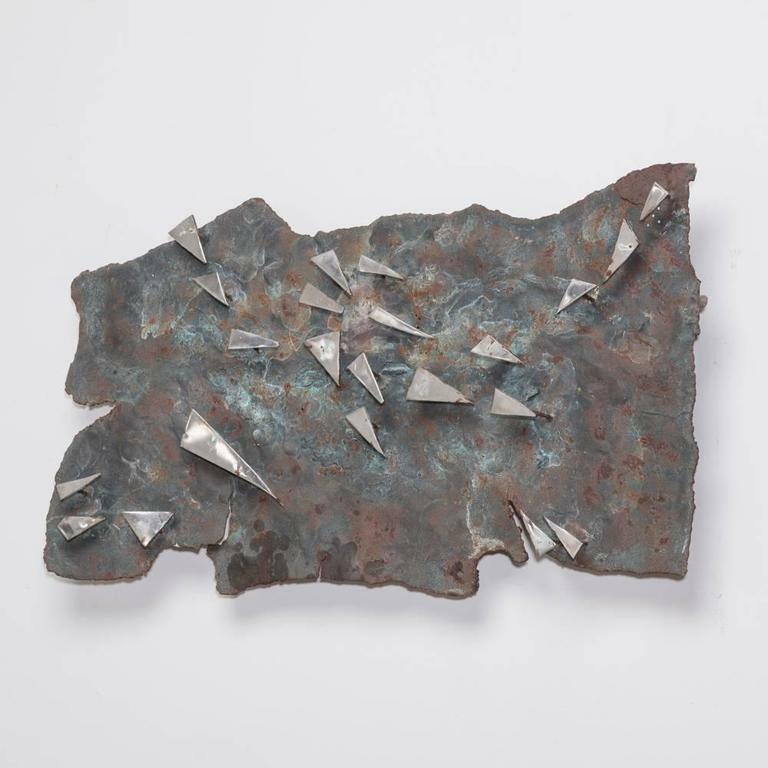 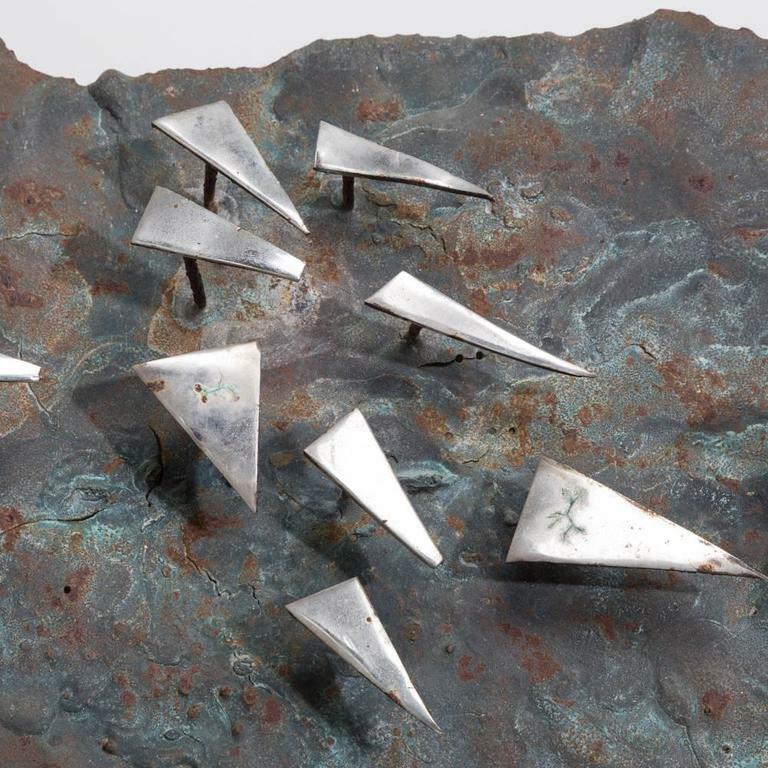 A Brutalist mixed metal wall sculpture panel, 1970s. 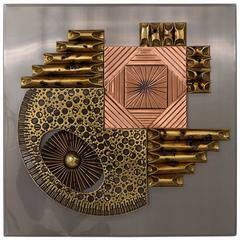 A mixed metal custom-made wall sculpture by Silas Seandel titled "Saturn's Rings" in brass, bronze and steel.